Along with the other fans down here in Wilkes-Barre/Scranton, I am still trying to overcome the disappointment of the WBS Pens getting swept by the Albany River Rats and eliminated in the first round of the AHL playoffs. But as with most bad news for minor league fans, there is a bit of a silver lining. Ladies and Gentlemen, cue Pittsburgh's Black Aces. For those unfamiliar to the term, the "Black Aces" are the group (consisting of 8-12 players usually) of reserves called up from the AHL farm system after the AHL team has been eliminated. Pittburgh completed their squad of Black Aces recently by calling up 7 more players to join the 4 already travelling with the team. Mark Letestu, Dustin Jeffrey, Nick Johnson, Tim Wallace, Eric Tangradi, Steve Wagner, and John Curry joined Brad Theissen, Deryk Engelland, Ben Lovejoy, and Chris Conner to complete Pittsburgh's taxi squad. Conner actually saw action in Game 6 vs Ottawa and Theissen dressed a few games as Fleury's backup. All of the others except Wagner (acquired at the deadline from St Louis) have seen time in Pittsburgh during the regular season. Wagner also is not a newcomer to the NHL, as he has seen time up with the Blues before as well. While very few of these players will be used in game action, they are extremely important for insurance reasons and enhance team practices. 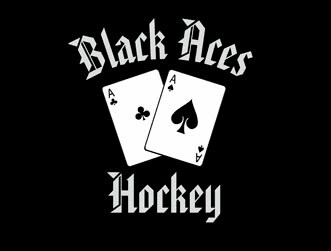 They are given the name "Black Aces" because they are practically unknown to the rest of the teams in the NHL. If any of these players do see time, I expect it to either be Conner again or possibly Letestu. Lovejoy will be the most likely candidate for a replacement defenseman and expect Theissen to dress as backup if anything happens to Fleury or Johnson.